DALLAS COUNTY, Texas - Police are accusing a North Texas city councilwoman of abusing the 911 emergency system. 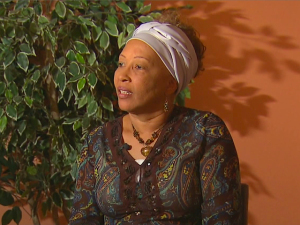 But despite what police claim, Wanda Adams is defending her actions, reports CBS DFW. It all started with a 911 call made early last week. On a recording, the caller is heard saying, "hello" and then there's static. After a few seconds, the phone disconnects. Police records show the person who made the call was Balch Springs Councilwoman Adams, according to the station. When asked why she made the emergency call Adams said, "My reasoning for using the 911 system was to get someone over there as soon as possible to review the videotape I had just seen." Adams is referring to video evidence showing two suspects robbing a Dollar General Store. The councilwoman says had been summoned by the store's manager to address complaints of slow police response to a string of robberies at the location. She, too, asked police for help with the matter, but claims they were not speedy enough, according to the station. Given her other efforts, she says she then decided to place an emergency call. "I wanted them [store management] to see that I am pro-active, because they were feeling like they were not getting the satisfaction." The problem is Adams didn't communicate with the dispatchers during the emergency call. That move now has her in bad standing with police. Balch Springs Police Deputy Chief Jonathan Haber said, "We're looking at pursuing charges for...abuse of 911." Police say on the day of the incident the dispatch center handled more than 100 emergency calls. At the time of the councilwoman's call they were also getting calls about a domestic violence incident in progress, reports CBS DFW. "Our resources are meant to protect our community," explained Deputy Chief Haber. "We can't protect our community if we are out chasing bogus calls." The charge the councilwoman could now face is considered a misdemeanor, and police say she won't be given special treatment just because she is an elected official. Councilwoman Adams on the other hand says she is disappointed by the way her actions are being interpreted. "This should have never escalated to this level," she said. Police say they haven't yet charged the councilwoman because they're still working on the case. A footnote - there have been no arrests made for those Dollar General Store robberies.